Checking Your Credit Report Has Never Been Easier or More Important — More Than Your Money Inc. Protect your identity and ensure your credit records are accurately reported by frequently checking your credit reports. Identity theft occurs when someone uses your information without permission. You may not be aware of identity theft until you see your credit report, apply for a loan or are contacted about late payments. A credit report is a consolidated list of your credit activity. It includes a list of companies that have provided you with credit or loans, the total amount for each loan or the credit limit on credit cards, your payment history and information on missed payments. It also provides a list of companies that have viewed your credit report. Credit reports show where you live and have lived, names you have used and employers you have had. They also show if you have been sued, arrested or have filed for bankruptcy. Banks and credit card companies use credit reports to decide how much money to loan or credit to authorize and how much interest to charge. Your credit report may also be used by prospective employers, insurance companies and landlords. Under federal law, you are entitled to one free credit report from each of the three credit reporting bureaus (Equifax, Experian and Transunion) every 12 months. The easiest way to get a free credit report is to go online to www.annualcreditreport.com. This is a secure website that is recommended by the Federal Trade Commission. You can also call Annual Credit Report at 1-877-322-8228. You can request reports from all three credit bureaus at one time or you can stagger them and request a free report from a different bureau every four months. Spreading it out can help you monitor your credit throughout the year enabling you to promptly react to errors or identity theft. Your free credit report does not include your credit score. Your credit score is the result of a mathematical formula calculated using information from your credit reports. It rates your credit risk at a point in time. It’s based on payment history, outstanding credit and loan balances, the length of your credit history and new credit or loan applications. Lenders and creditors use this to decide on how much credit to offer or money to loan, the terms of the loan and the interest rate to charge. 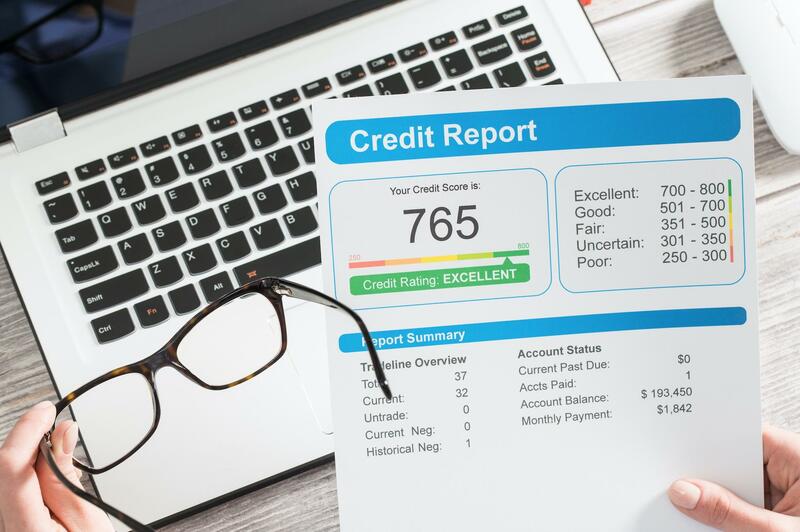 Many banks and credit unions including Bank of America, Barclays, Capital One, Citi, Discover, USAA and Pentagon provide free credit scores to their card holders. Review your credit report carefully, major discrepancies may be a sign of identity theft. If you see credit associated with companies you don’t recognize, accounts that you didn’t open or credit inquiries that you did not initiate, report it to the credit reporting bureau and local law enforcement.The Colorado Bureau of Investigation Identity Theft and Fraud Victim Assistance can also assist you with steps that need to be taken. Their toll free 24-hour hotline is 1-855-443-3489.